The World shares your sorrow and grief about the horrific massacre of innocent children and teachers at Sandy Hook Elementary School. My sister and I were talking about it yesterday and tears were running down her face. As a teacher of 30 years she could only imagine the terror faced by the teachers and the children in those frenzied moments. However, at the end of it all, no matter who you speak with, the same question keeps getting asked. Isn't there anything that you can do about gun control? I am not trying to be critical of what many consider as the greatest Nation on Earth but I just do not understand your gun culture at all. Perhaps you can shed some light on it for me. Why do one in three Americans need to carry a gun? Why is it 15 times more likely that I will be shot dead in America than here in Australia? 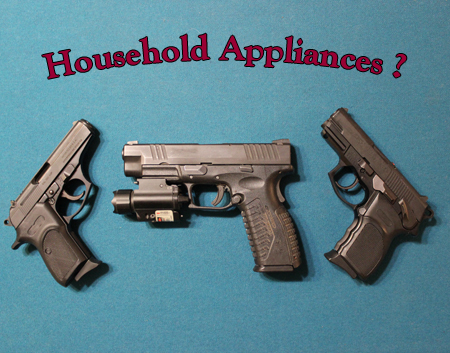 Why would your average suburban American householders have the need to have automatic Glock and Sig Sauer pistols, which can hold up to 30 rounds in their clips? Surely, no private citizen needs that kind of firepower. Or do they? I can understand that these weapons may be a logical choice for soldiers whose goal it is to kill a lot of people in a short time but what purpose are they for your ordinary citizens. In coming days, America’s powerful National Rifle Association will no doubt cough up its old line that it is “guns don’t kill people, people kill people”. Guns are everywhere it's true. And all countries have had their share of gun massacres. Us included. However, Australia now has the most restrictive firearms legislation in the world simply because its citizens demanded it following the horrific Port Phillip massacre which occurred here in 1996 where 35 innocent people were killed. Our laws banned semiautomatic and automatic rifles and shotguns. Australia also instituted a mandatory buy-back program for newly banned weapons (the government bought the guns back and destroyed them). In light of the Aurora, Colo., massacre in August this year, the Washington Post wrote about the impact of Australian laws to instigate greater discussion about greater gun controls in the USA. The impact of our laws has been debated left, right and centre. All I know is that we have not had any futher 'spree killings' like the Port Phillip massacre since this time. However, I do not believe it will be as easy for you to introduce tougher gun legislation. Particularly given the public comments made by some of your politicians over the past few days. For example, I just heard on the radio that a prominent Republican congressman believes that arming teachers would be a better solution to the violence than gun control. “I wish to God she (school principal) had had an m-4 in her office, locked up so when she heard gunfire, she pulls it out….and takes him out and takes his head off before he can kill those precious kids.” The Texan congressman Louis Gohmert said on Fox News. (An m-4 is a similar military style semi automatic weapon to that used by the killer). That is truly insane. Just insane. Where will it all end? The reality is many parts of the world are going to be watching you closely over the coming days and months and wondering why there is absolutely no substantial political debate in your country about why it is ok for anyone to bear arms of any description with no substantial checks and balances in place. To me, a civil war in Syria where 40,000 people needlessly die is not that much different from a 'war' in a civilised country like yours where more than 30,000 citizens are killed by guns each year. Any controls that are put in place that make it more difficult for evil or mentally ill people to wreak havoc and violence on innocent people has to be a good thing. Surely. I understand that criminals will do whatever it takes to obtain guns and kill people. No law will stop them. However, if laws stop or decrease the 'spree killings' of innocent people, particularly school children, then that has to be a worthwhile outcome. Doesn't it? Maybe I am missing something or just plain naive. I would be very interested to hear the views of my American readers who may be able to shed some light on why they think there are more registered guns in the USA than there are citizens. Why do so many people think that is normal and ok to have guns in their home like it was just another household appliance? RIP the beautiful innocent children and teachers of Newtown Connecticut. I know. I just don't get it either. Seriously, do not understand - but I'm Australian. I'll look forward to other comments. Thanks Lynley. I am really interested to hear form someone who carries a gun. We live in a much smaller country so the issues are no doubt different but I am interested to hear from someone who has a different opinion about why people have a right to bear arms. I just do not get that at all. There's a blog called Margaret and Helen. Helen is the writer and she is often... mmmm... always opinionated. I happen to agree with her, but just don't quite use the language she does. I understand she's even been on Oprah. She wrote about guns in the U.S. The reason we can't get guns in control is because of the extremely strong gun lobby and the National Rifle Association (NRA). I don't know what it will take. It's the stupidest, most EVIL thing. It just makes you so mad! Thanks Kay for that link. How funny are they? What characters these women must be. And Margaret sure makes her point. As a teacher I am sure you would have views about teachers carrying guns in the classroom in case some nutter broke in to cause some damage. Teachers have such huge responsibilites as it is. I hope and pray that something can be done to prevent or lesson these types of killings. Thanks so much for your comments Kay, it is interesting to know what you think about the issue. I taught first grade and I would NEVER EVER agree to carrying a gun in my classroom. How ridiculous is this? I've heard that NRA fellow say that the principal should have been carrying a weapon. Good gosh! What is this country coming to? Instead of getting rid of guns, we should all carry one? Are they nuts? Actually, it's Helen that does the writing. She's writing to her friend, Margaret who occasionally answers. Helen is hilarious, but serious. Yes it is Helen, so very funny and tue and I am now following. It is incredibly sad. Do you remember when the Kindergarten class was killed in Scotland? Dunblane I think. Why in hell do they do this to the most innocent members of society? There are no words only action. I say, gun laws have to be introduced. What choice is there because what is there at the moment is clearly not working. It seems the student killings in the last few years are all done by people who have no criminal history but are mentally disturbed and have easy access to firearms. If it was that much harder to obtain guns then maybe they could not do the damage they have done. Those babies in this latest massacre were shot 3 to 11 times - imagine. Surely people who use guns wisely would not begrduge any law to stop those people with 'issues' misuing them. And while they may use other weapons such as knives they could not do the same damage so quickly as an automatic rifle will allow. If politicians dont listen then it is about time all the influential citizens and do-gooder celebrities in America stood up and fought for all the children in the country who need to be protected. It seems to me that celebrities and those who can influence lawmakers seem to to spend all their energies jumping on the latest social bandwagons affecting other countries and their voices are needed in their own backyard. Or are people really that afraid of the NRA because they are armed and dangerous? It seems that the NRA is an extremely powerful body whose views pack a punch. I do remember the Scottish incident, a whole class of babies. It is impossible to imagine really that human beings could do that to each other. Does Britain have very strong gun laws? The only time I ever saw guns in Scotland was when I arrived at Edinburgh Airport and there were police roaming around holding machine guns. It was the most bizarre concept to me. I am just not sure how we explain guns to our kids really. But of course it probably means nothing anyway as they are on computer games and videos all the time as it is. It's probably part of life. It is made to be such a big issue but I do not know why. The NRA is an extraordinarily powerful lobby and many people see it as a freedom issue. Which is crazy. People might be able to make a case for owning rifles for hunting or handguns for self-protection, but there is no legitimate reason for allowing automatic weapons. And there is also no good reason for not requiring people to keep guns locked and out of the reach of children, or for requiring strict background checks for any gun ownership, or for requiring safety features. But you even talk about those things and people start screaming about interfering with their rights, as if you were threatening to castrate them. But you should know that many, many Americans favor tighter gun controls. In fact, I was talking to a friend tonight who is in the military and is obviously comfortable with guns - and he is outraged that people are describing the recent massacre as "an excuse for Obama to pass gun control legislation." He feels our society is sick and he doesn't understand the gun nuts' position on this any more than I do. Sometimes I despair because of the strangle hold the far right seems to have on my country. Wow, that is so interesting. The US is so large with so many States and so many powerful lobbies. I agree, that people can argue why they need to have guns and that is all well and good. But it is the type of guns isn't it that everyday people have in their homes and carry them I assume out of fear. I do not live there so clearly I do not know it is just that as an outsider looking in, one tragedy after another means that something is not working. I agree with your friend, society is sick for many reason but I am sure that the majority want to do what we can to protect our most vulnerable. Thansk for such a great and interesting comment. It is good to hear how Americans feel about it rather than looking at the press and trying to work it out. I completely agree with you. But also think that a someone who would plot an attack like this for months would not be stopped and would just find another method to accomplish his goals or find a gun another way. Thank you for your post. I will try to add to what Secret Agent Woman said. The NRA is extreme powerful but not because they are armed and dangerous - no they have money and good lawyers. I have enjoyed shooting guns but because of their danger would not have a gun in a home with children. There are other violent areas around the world too, such as Mexico and Honduras. There was a time in my lifetime when mentioning Chicago would get a question of gangster mobs from people in foreign countries. I don't understand the reason but America has had a violent history. Hollywood really cashes in this violence (movies and video games). The Connecticut shooting brought up this subject today at our family gathering. I just said - most everyone would agree that 50-caliber machine guns (think Somalia) should not be allow to be mounted on our jeeps. Also, citizens should not be allowed to own surface-to-air missiles. Weird stuff right? But hey we have this "right" to own guns. The founders of our country did not know someday there would be automatic weapons. In my mind it is a question of where to draw the line. Some would draw it at no handguns. We could start at where we drew once before - no assault weapons. It was repealed by NRA pressure and should be put back in place. One more item to remind non-US readers. The state vs. federal controls. Right now most of the gun control is controlled by the states. Arizona is very loose. New York, Illinois tighter controls. This needs to be fixed since moving around to get easier access to guns is as simple as driving over to an easy state. Lilly, thank you for asking this. I find the comments interesting. Thanks Bill. You always explain things so well. I just heard that last night about the States controlling the laws but the Federal Government has the power to change them if it wants. With so many States it would be easy to move around. There will always be weapons and there will always be mentally disturbed people but I guess as you say it depends on what kind of weapon is legal. I am sure that controls are put in place that still make it ok for legitimate use of guns. It is a complex issue I am sensing and is an argument with many layers. People also are also very emotional about this and my post maybe being seen to be insensitive to those who don't know me. There are no right times to ask these question I guess but it sure allows me some information to share with people here when the question keeps getting raised. Why doesn't the US just do ...... Thanks again Bill. This post has generated a few strong comments which I'm not surprised because there are many strong opinions out there on this. A few years back, I recall hearing that one political approach was GGG - God, Guns and Gays. The gun/violence solution is not in the extremes - not either way. I just heard a good statement regarding mass shootings. My summary of it - because mass killing is so incomprehensible we think of all types of ideas to understand and solve this scary threat to our senses. Just notice if that timestamp is correct - you are one early riser or are not sleeping well. Time stamp is correct Bill. I am getting up at 4am these days. Where I am at the moment is light about 4am and so I find it hard to stay asleep. Plus the birds never stop chirping. It means of course I am asleep by 8.30. Yes people feel strongly. That's ok as it's a big issue. I also wanted to get different views to better understand. Like your summary. Such tragic times we live in. Unfortunately no carnage seems to jolt American people out of their NRA trance. Lilly as you know I am not American but when I visited several States in the USA in 2010 and we discussed the gun laws I was told if guns were made illegal, then only criminals would have guns so they would have all the power. Also guns are allowed for protection against a tyrannical government. If the government gets too bad, they have the right to overthrow it! Americans will now start carrying rifles with them to church, to the hospital, to school, to the theatre, to restaurants, to weddings and funerals. They possess the right to bear arms because this right is guaranteed by the Second Amendment to the U.S. Constitution. I shed many tears for those beautiful innocent children and those teachers. Hi keeksaz, I understand it is a highly emotive issue and understand what you were saying but I don't believe the comment made was making generalizations about all Americans. Everyone is entitled to a view based on their own experiences and that is why your views are also very important. Reading the stories coming out how brave those teachers were to protect those poor wee children is heart breaking. The reality is that in every country where tighter gun controls have been introduced violent crime has been reduced. I do not know why America believes it has to be armed to the back teeth. If nothing happens then it is a message to he world that America cares more for its guns than its children. Shame on them and rest in peace the little Angels. They will have their teachers whom they loved and trusted looking after them. Really? America cares more for its guns than its children??? Seriously? F off. Really. And good for you reading some random statistics off the internet. I mean by the picture that you guys are painting we all walk around armed and ready to go. It's just not accurate at all. Not that many people own guns. Even less carry them around. There are plenty of laws in place to protect everyone. Get your facts straight. This was the act of a single crazy person who certainly would not have been stopped by more laws. By turning this into an attack on a nation dealing with such a huge tragedy I could say you care more about trying to start some debate and talk without thinking than for these innocent babies. Oh, and the teachers are brave, but the rest of us are gun toting lunatics? them. How you read into any of this that you are seen as gun toting lunatics is beyond me. You are not thinking about those poor innocent babies if you believe nothing should be said. Obama got up and said it in front of their parents. I just dont think you got the point at all Keeksaz, maybe it was lost in translation. I was all prepared to delete my above comment, and do wish I could edit it because I was way too upset when I wrote it and not all of that had to even do with these posts. But then I reread the original post and your response and wow. I mean, I don't think I'm the one missing the point. I can say, with confidence, that America does not care more for guns than for children. And I can't even put into words how offensive that is and was to read on the first day of school after the attack. I don't know what the news reports in your country. I don't know what's said about America. I do know that I have lived in several different states, and there are certainly plenty of horrible people here, as I'm sure there is everywhere, but there is also so much good, so many amazing people, so much kindness - again, as I'm sure you have in your country as well. The point is to use a tragedy like this to come together to make this world better, safer, happier. I checked out that supposedly beautiful post. I got distracted because of the naked picture of the mommy blogger who owns this blog. Seriously why would anyone think that was ok. What the hell seriously. Also just for info, the top commenter was saying that if we do nothing then we are putting weapons ahead of the safety of our children. Think big picture not personally.. So glad Obama shares the same opinion and is moving quickly on gun control. Timing is everything when this has happened multiple times before. I cried the minute I saw the parents and I remember the details of the stories at Port Phillip and what Australia did very quickly following that. America seems to me like every simple thing or question has to be argued and debated upon to the bones. Yes Lisa every country has had awful massacres such as this and thank goodness we have not had another since the more stringent laws were introduced. Even though there had been several in the preceding years. That could just be luck but the laws have not stopped those who use guns for sport etc. However automatic weapons are nous legal here. Of course there are stll illegal guns out there and murders but there have been no killing sprees. Lilly you make such a good case with this post. and omg, I cannot believe that congressman said teachers should be armed!!! Australia sure sets a good example. We are not the only country with these laws but fingers coaxed they have certainly worked in regards to spree killings. However, as people have explained on this post the issues are very complex indeed. And yes that quote was from a politician. It is going to be an interesting debate. What are the laws like in Canada? It seems simple as an American I have never felt the need to protect myself my life like most has never been threaten to the point I need to own an assault weapon or a hand gun.....enough is enough...end these senseless tragedies! Thanks for your comment K. It is a topic that is polarizing in every country I guess. But you are right. The bottom lie is that if anything can be done to stop another tragedy it should be and from what Obama said it will. This post is just so offensive. It is such a huge tragedy and actually most of the news and stories I'm reading and hearing about are just focused on these innocent victims and remembering them. I think it is way to early to turn this into a debate and try to make it a political statement. It's just IMO very disprespectful. These were innocent babies. And a crazy person who most likely planned this out for months, but yes, I'm sure a tougher law would have stopped him. I hope your streak continues but it's unbelievable you'd use this time to trash "the greatest nation on earth". I can't even type a proper response because your post is just so upsetting. And full of mis and wrong information and little jabs. Thanks for your comment and I am sorry I upset you so. I love America and Americans. I have visited your country many times and had great times. However, as I said a lot of people are asking the same questions in and out of your country. I just wanted to better understand. You are right there are a lot of disturbed people and that is hard to control anywhere. I guess the next best thing is how do you control assault weapons that really have no purpose on the streets or used for hunting, fishing or shooting. America as a nation is interested in the rest of the World and leads the way and therefore that interest is reciprocated. It is sad and tragic and I hope that your leaders can bring about the changes being discussed. Thanks for joining in the comments as it is important that we get a balanced view. I didn't find your post offensive at all. I think a lot of Americans, me included, think that assault weapons should have harsher controls. I hate that if a person says anything about limiting the amount or style of weapons readily available here in the US, that people instantly jump to "it's their right" and the Constitution gives us the right. Can't there be a middle road. Yes, I am OK with people arming themselves but does it need to be a machine gun that can shoot hundreds of rounds. Thanks Cheryl now that is exactly what I should have said. All it needs is a middle road. You hit it on the head. I am American. I live in another country where there are even more guns and murders. It's not pretty. Just a few feet from the children's project there is a huge dark spot on the cement. It marks the spot of a man who was shot in the back during the night. It's insane to have assault weapons in the hands of civilians. It's not needed really in the hands of most police or soldiers if they are trained to take care problems in more sane ways. I posted a very simple message on Facebook soon after the slaughter of innocents in the US to petition the US government to change gun laws. ALL of the comments were critical, and most were from my own family. It's insane to think that arming citizens with automatic weapons will help. I received even more criticsm when I gently corrected an older colleague on Facebook who incorrectly stated some facts related to the case. Wow. Many Americans are not thinking clearly. More guns are not the answer. May we pursue peace and the author of Peace. Wow I bet you have seen some things where you are Laurie. The interesting thing is that you know where it could end up living in a country where there are more guns and violence. What wonderful work you are doing. It is all about trying to strike that compromise I guess and keep as many people as safe as possible. Yes peace is the answer now if we all could just work out how to get it. It is not as simple as it may seem. I re-read the comments. Please don't put all the blame on the powerful NRA. Gun manufacturers are a greedy lot in the US. Weapons are big business in this country. We arm the world! That's a terrible truth, but unfortunately accurate. The companies making weapons have a vested interest in making gun ownership attractive, easy and affordable. Yes that is such an important point. It's a bit like the big pharmaceutical companies too. They have so much to lose. I might research that a little more. Yes we would import our guns from the US I am sure. Just to clarify - I in no way shape or form support automatic weapons, the nra, having more lenient gun laws, etc. I just think a debate, bashing every american and all these generalizations and the misinformation is offensive. I think the focus should be on what happened, support should be given, it's way too early to turn this into some political debate. I think it's in poor taste, and especially the way it was written. And some of the comments were just so outragous and so attacking. This is such a huge and sad tragedy we're all trying to process and recover from. Thanks Keeksaz, the post is written to the broader America not singling out individual Americans. It maybe full of generalizations and stats because that is what we in other countries read. As I indicated I wanted to get some views from my American readers so I could better understand. We all realize there are differing views and we are all mature enough to realize that people cannot be lumped together. I am sure you have read lots about Australia in your press too and made similar generalizations. It is sad, very, very sad. And I sincerely hope that your Presidents message to the families happens as he indicates. He was very much indicating political change on this issue. The other thing I wanted to say is that we get a lot of news about America here. We have great relations with your country and we are genuinely interested and care. And I appreciate your comments as it helps. I was having a remarkably bad morning and got way too emotional and parts of my replies were as biased as the comments I was upset about. I deleted my *more* offensive comments and apologize. I do stand behind the fact that SOME of what I read was very offensive to me in that I felt it was unfair and one sided and there were blatant things like the comment that Americans love guns more than our children. I mean, that's just not true. For every psycho lunatic that would harm a child there are a million people who would die trying to protect that child. But, I do apologize for the way I wrote my replies. I was tired, and stressed out and oversensitive and my replies weren't okay and did nothing to further my cause of defending everyone. And also just generally I feel like the timing is off. There are so many beautiful posts today, respectful and honoring the memory and bravery of the lives lost. And I understand about the importance of debates and of information, but feel like it is way too soon. I mean they are not even laid to rest. I just feel like let's hold out for a little more peace and love out of respect for what happened. Today was the first day taking our kids back to school - it was a sad day, not a day for such a hot topic debate. IMO. Which is just my opinion. But that is part of what was so upsetting. I just wasn't prepared to read this type of post this morning as I was getting ready to drop off my son to school. I am so sorry Keeksaz. I do not know you and perhaps if you knew me you may know that I would never do anything to inflame the situation. I asked a question that everyone here is asking and a lot of people in your own country are asking, particularly those who have been involved in previous incidents such as this. I understand this triggered something and perhaps I should have put a warning on the post. My readers are just telling me their views and experiences. At least we may go away better informed about how others feel about the subject. I am aware you may have just wanted to view positive posts with lots of kind words that other bloggers may have done. I have done that in other forums, said lots of prayers and understand more than you might know about violence. My blog is a place I ask questions and to be honest given what I was hearing in other places I wanted to get the views direct from my readers about how they felt. I am sorry you felt it was too early to read etc. I wanted to do this post so that when I heard yet another person say, but why doesn't the USA do something, then at least I can say well it is not that simple for X and Y reasons. Simply bcause someone in New Orleans has told me their perspective, or another person in the south or California or wherever. As you know, issues are not black and white but grey and I think it is important that the rest of the World sees this too otherwise we carry our stereotypes with us. And regardless of how you may like to grieve, a lot of people are asking the questions now. To truly care about other people's situations I think you have to understand as much as you can. What I was not aware about was the polarising views about gun control. And that is where debate will happen. However, I believe every person is on the exact same page when it comes to agreeing that these are senseless and unecessary deaths. It's a topic that I don't like to touch on, because there are heavy emotions involved, but I'll give it a try. Our country was founded on the ability to fight for our freedom and defend ourselves. Yes, this lead to the availability of guns, which meant available to the corrupt and the insane. There are too many issues to resolve and to give a blanket statement to ban guns is not going to solve the problem. Society is the problem, lack of respect, lack of proper police control that aren't corrupt in and of itself, a government that doesn't support the people in the times of a crisis... and so, it leaves the individual to feel the need to protect. I love America. My husband owns multiple guns. One of our friends owns enough guns to arm quite a few households. My parents own guns. We also have a gun safe and the guns are kept there, especially given our growing family and Greg and I have discussed how we will raise our child with guns in the house (locked in the safe). And let me add this... I was once in a very dangerous situation, will not go into details... the individual who threatened me made it clear with these words, "If I want to kill you, I don't need a gun. A knife will work just as well." Those who want to harm, will find a way. Society is screwed up right now and I'm praying that more and more people realize this and take corrective actions in raising their children and helping those that need the help before more harm comes. For those reading this, keep the hate mail at bay. Thanks for your comment you always give a considered and balanced reply. Yes you are so right when you say that we should be more alert to the people that need the help before they do some damage to others. I expect more will be revealed in the coming days about that particular issue in this case. Thanks for your comment Aleta you always express yourself so well. It is important to hear all views and it helps those of us looking in from the outside better understand. The difference to me is you use guns for a legitimate reason and take care of them and they are under lock and key. My grandfather owned guns and my father was taught to shoot too. They lived on a farm. Under the laws here you would still be able to do that but they restrict the type of weapons. themselves. That is true everywhere. We have a lot of knife crimes. I don't think laws can do much to prevent crimes as people always find a way. But I think stricter gun laws can impact on the wild killing sprees that occur where lots of lives are lost. Well they have in other countries but maybe America and it's society is far more complex. personal experiences without feeling threatened. And me and all my regular readers love hearing your views. Found your blog through Secret Agent Woman. Good post. You see in two of the comments why we don't have better, more restrictive gun laws. In fact, several states now have 'open carry' laws, wherein anyone can walk around with a holstered, in view gun. The NRA does not condone and goes after any politician who suggests that stricter gun laws are need. Or indeed, any talk about banning any weapon. I'm 68 now, and don't hunt anymore. I still have a couple guns, mainly because my son does not want them, and I don't want to sell them to people I don't know well. I do know that the idea arming everyone, which has been suggested as a solution, scares me to death. We are a machismo society, and one in which simple disagreements often quickly escalate. Take a look at one of the comments that showed actual rage that you would suggest gun control. I know I wouldn't be comfortable having this discussion with him if he were armed. There is no viable solution at this time, and the slightest suggestion that gun control should be examined brings out this same rage in many. What will happen is that this will happen again, and again. And we'll have the same discussion again and again. Thanks for your comment and I am glad you stopped by although I am usually way funnier than this and never get so serious. I guess you are right. It is a very confronting issue and I really hope that some kind of compromise is found. An open gun policy? I just cannot imagine why? Are the streets that dangerous that you need to carry a gun? Wow that is so interesting. I think it's true everywhere simple disagreements escalate into full-scale wars. I am kind of seeing why it has been put in the too hard basket. Hi Lilly, Thank you for tackling this important issue. I'm 100% with you on this. And as for anyone thinking our educators should be armed to blow someone head off is just beyond comprehension. Gun control is important and so is controlling the ability to have massive quantities of ammunition and high powered assault weapons. Equally important is mental health awareness, but that's a whole other subject. My heart is breaking as the funerals for this poor children begin today. I hope this all results in constructive conversations about how people can protect themselves without enough high powered weapons and enough ammo to start a small war. Thanks JJ. You and Aleta both raise the important issue of mental health awareness. That is extremely important too. I just think there has to be something that can be done by governments across the world to prevent weapons of such mass destruction getting into the wrong hands. how that is done will be the subject of long and protracted debates as it should be given it is an extremely serious issue. Always great to get your comments and thank you for the surprise. So exciting! We are a very Violent country! Violence sems to be a HUGE part of our culture---our Films, our TV Shows, our Video games, etc., etc. AND, we have a "GUN" Lobby that is very very powerful. I agree with everything you said and I am against people having assault weapons that are meant for war, etc.....It is CRAZY!!!! THe 2nd Amendment is 'the right to bear arms'...BUT, The Founding Fathers were talking about guns that held ONE Bullet at a time---not One Hundred!!!!!! I don't know if we can change our laws---NOT without the co-operation of our Law Makers---and so many of them are PRO GUNS of every type!!! OY! I just read through the comments, and wanted to add that I didn't think your post was remotely offensive It's something we need to be talking about. However, some of the comments were offensive to me. I am not a fan of people outside a situation jumping in with their stereotypes. No, Americans are not all about to start carrying weapons to all events. That's just silly. And no, America does not care more for guns than it's children. That's just insulting. And the "now America will get a taste of what it's done to everyone else" comment? That's just vindictive. So thank you, Lilly, for not joining in with the mean-spiritedness this issue is provoking in some. Americans are NOT all cut from the same cloth and many of us a vocal supports of gun control. The people who are taking the moral high ground by condemning all Americans for the acts of a lunatic and are jumping to conclusions about what America as a whole believes are awfully sanctimonious. Thanks, I guess I am naive in the sense I did not realise it is such a polarising issue. The United States is such a huge country and I know from my travels is so different in each State. I guess for me it is about getting a better understandiung so when I do hear people make generalisations I can give another view. Tough subject and everyone wants to do soemthing that is the bottom line. How that is done will be debated and that is a good thing. What works in one country, especially a very small one like ours with only 22 million people, may not work elsewhere. A lot of my readers are American and I love them so I wanted to ask the question and I knew they would tell me honestly what they thought. Thanks for joining in too. I appreciate it. No we are not all alike, and not all support the gun culture. And no, not all American's love guns more than children. But some do, and many in the first example. Can you blame people around the world for their view of the US? I'd like it if everyone in on the globe sees us as we like to see ourselves. But it just ain't accurate. Our culture, accurate or not, has been seen as cowboys, gangsters, and gun-happy. I like it as little as you, but it's the view. And what happened in CT, at VTech and in CO just feed into that view. And the number of gun-related deaths in comparison to other countries just multiplies the notion. I hope we can change it. Thanks SFM, you can reply any time you like. It is great to hear everyone's views. I think we are all seen by other countries as different then how we like to see ourselves. I know we are and it aint pretty at times, lol. It is hard to be tarnished with the same big brush. The USA is so huge that it is like many different countries in one. You cannot broad brush anything but like you about us, we get our views about America mainly because we watch the news, read the newspapers, watch your TV shows etc. Those of us lucky to visit your country will find the most hospitable people on the planet. Our cultures are different in some ways and the same in most others. That is why I truly love blogging. We get to find out how each other thinks about issues and can make our own minds up. We can cut out the BS we have to wade through with the media. Thanks so much for your input and comments. It has been great and much appreciated. Maybe it's because we're Aussies and never really grew up with guns, it would appear to be a no-brainer to us. Thanks YW, yep its easier for a smaller country like ours too. When I went to Singapore I was scared to drop a piece of paper. That place was an eye opener for me. My Dad grew up with a gun in the house but he lived on a farm and they used to shoot rabbits etc. He apparently was a hopeless shot much to the disappointment of his father who was great apparently. It just wasn't part of our lives and when it is not its certainly harder to understand the issues. I'm having trouble replying in line to my comment, but with regard to your question about gun control laws in Canada I found this neat article that says Canada is more strict in what kinds of weapons are permitted but thinks gun culture is different in the U.S. compared to Canada. It argues that gun laws are not necessarily the cause of gun violence. Thanks Christine, I will read that with interest. I think you are right cultures are all different and its good to get a better understanding. Thanks heaps! The thing I love about reading your readers comments is they can differ in opinion and still be polite. Sure someone got upset but it is a very emotive issue. It is about getting a better understanding of how others feel about these issues. REAL people as opposed what the media thinks we should know or feel about issues. This is why blogs are so very important and your readers are articulate and authentic and great communicators. Congrats to everyone who has joined in the discussion. It makes for great reading regardless of your views. Even though I do not have a blog I have been following you for years, your readers included. Thanks Anton. I think the differing views is healthy and it is good to see different sides of the argument. That is what I love about blogging, we get to share ideas and viewpoints from different places in the world direct from one to the other. We do not have to listen to what is said on the TV, radio etc and believe it as gospel. Thanks Laurie I shall go and look at your post. I hope other readers do too. My heart is so heavy for the loss of innocent lives. It has taking its toll on us all. I believe in the right to have guns. I also know I can defend myself in other ways than just a gun. But knowing I have one and could and would stop somebody in a heartbeat from hurting innocent others...oh you bet ya I would pull it out!! I think if those in the position of carrying for our most precious of precious our kids. YES they should be armed. Principals should be allowed to protect at all cost. They had precautions in place...just wasn't enough to stop him But a gun pointed at him could have possibly. Sad to say but these are the signs of the times and people have to start protecting themselves. If he knew there were others in the school with guns...I doubt it would have ended this way. Thanks Dar for your comment. It is exactly what I wanted, evgeryone's opinions as diverse as they are so that others in the world can see what Americans really do think. You see we get so much infomration from the media channels and often it is hard to know what 'regular people' as opposed 'journalists' think about the issue. I hope that it can all be sorted out and that as you say some more precautions can be put in place in some way. People who were bought up with guns, like my father and his family, respect the weapons and how they are used. I am just not sure others do the same unfortunately. Thanks heaps for your comment Darsden. It is appreciated. I just don't understand the need to carry firearms either. In fact, if you look at statistics you'll see a huge difference in fatal shootings between the countries like Sweden and the UK where people don't have to guns (21 and 7 fatalities last year) and the US, which had over 10,000 fatal shootings! Thanks Ladyfi, I think for us it is just so culturally different to how we live and for me it was important to try and understand it a bit better. I imagine Sweden as being one of the most peaceful places on earth. I am not really sure about the impact of our gun laws. I have tried to get to the bottom of it. I know suicides have gone down a lot which may also be attributed to better services for those who are depressed. You can read different statistics about the impact on homicides. So it is hard to know who to believe. However, it is true that we have not had any scatter killings since 1996 when he laws were introduced. This could be a lucky streak or a direct result of the gun laws. This episode is senseless as they all are and I do feel very sorry for everyone involved and the country at large. It is clearly such a very big issue. No-one would have foreseen this or been able to stop it I dont believe. I hope that some thing can be done to lessen the likelihood of this happening in the future in any country around the world. Thanks for your comment Lady Fi. OK, I apologise Lilly and other readers if my comments were seen as offensive. I have a view as does anyone else. My father was born in NYC and me in the UK. I have family there and we discuss this subject often. The reality is if these issues are not discussed across the world when the incidents happen they never get discussed. Are Americans even aware of the tenticles their country has on everyone else? No-one is denying that people are sad, in shock and in grief. People are truly living in la la land if they think that the obvious questions cannot be asked on blogs across the world. They are splashed across the media in the US as it is. When is the mourning period meant to be up for this to happen I wonder. Two weeks, six months. Lady Fi says it all and the figures speak for themselves. According to one commenter you are meant to be writing stirring, heart wrenching posts like other bloggers. She clearly has never visited your blog before and knows nothing at all about you. My last word on the subject I promise. I agree with you, Lilly. And every time I voice these things, people get really upset with me. I don't know what the correct answer is, but I know what we as Americans are doing now--- isn't working. I didn't read through the comments, because I can only imagine the dialogue. I've argued with too many people this week on this matter. There has to be a happy medium between Wild West and No Gun Zone. Thanks for your comment Summer and lovely to see you drop by to give your views. PS I love all opinions too..it is what makes us all US ! We don't always have to agree. But, what people need to re-learn is how to debate, have a discussion without taking it on such a personal level all the time. We have to figure it out together because we are all in it together... " we are the world "
I don't mean to offend anybody. I will always listen to the other side..politely disagree. Merry Christmas to you too Dar. Will come over for a visit soon. Fantastic comment. There has to be a middle ground and if enought people talk about it there will be, thanks!! It sure was a tragedy that happened in Connecticut. My heart goes out to all the families who lost their love ones. It's also a tragedy to the MILLIONS of responsible gun owners because their ownership of guns is mired and will be restricted by the actions of handful lunatics. My family own guns of all makes, including semi-automatics. Many of our friends in diffrerent parts of the U.S, own guns for hunting,for recreation, and for collection. None of us and any of our friends are gun-toting people. We are the sensitive and responsible gun owners that you don't hear about. When my husband and I didn't have children, we had all our guns displayed in glass covered gun cases. But after we have children, my husband put all of them in metal gun safes. I think this is the most responsible way in gun control. Even though my son has a gun given to him when he was in highschool, his gun is locked up in a gun safe and will never be given to him again because of his medical condition. He understands that. We've owned guns for more than 35 years, and we haven't killed anyone. I don't agree in arming every teacher. I suggest that schools should hire professional security guards and allow them to actually carry guns. Some banks, malls, and hospitals have security guards, but can you believe that they're not allowed to carry guns? I think that they should, so if lunatics with guns are at those establishments to do harm, they're able to stop them right away. That is such a well written comment. Even though I have differing views to you, you gave me an insight to how those who have been using weapons for sport etc will also be affected by this. Your comment about the teachers is also a great idea too. Some of these comments astound me as an American with children.Right now, instead of responding as parents and a nation by saying no to the culture of violence, we are apparently responding by defensively arming ourselves with more and bigger weapons. If that cycle of violence and fear is having such a deep psychological impact on adults, how do we expect our children to navigate or survive it? Disarming law abiding people is NOT the answer. Wasting valuable police resources keeping tabs on law abiding gun owners is NOT the answer. Australia has some of the stupidest gun laws in the world. This has not prevented western Sydney from having nightly shootings. The culture of violence and machismo often seems to speak with the loudest voices and drown out the vioce like the Mayors Against Gun Violence. I think that character education, conflict management, and mental health services need to be provided throughout our schools, health care providers, community organizations, etc. Too many of our children and adults get most of their entertainment, information and misinformation from TV, films, games, etc., which go for the sensational. We get entertainment from activities that are deplored in real life. I shudder at the hatred, evil, anger that people who do mass killings have. In certain sectors - like drug dealings, etc., there are rules for people who are "in the game" and they live accordingly. doesn't mean their lives aren't as precious, it just means that most participants know what their in to. Having just spent most of my vacation around two delightful, hopeful, innocent, lifely 5 and 7 year olds, I can't imagine the grief of the Newtown parents. Now, when my daughter puts her children on the bus, she has to pray that they will make it home. The violence of the world has changed every day activities - going to school, going to church, riding a plane - into activities fraught with anxiety. Those of us who are into peace and love and equality have to push these values as consistently as the other stuff is pushed. Lily, there are no easy answers to the gun violence in our country. I do know that disarming innocent civilians is not the answer. The problem is that criminals will not obey gun control laws. You could outlaw every gun in the USA tomorrow, but would that stop people from obtaining guns. During prohibition, in the 20s in the USA, people still manufactured whiskey and sold it. Would it be unrealistic to assume people still won't make guns and sell them even if there are laws prohibiting them? Using other countries as an example of how gun control works does not apply to the USA. The gun culture is too richly ingrained, starting to the time we decided we wanted independence from British Colonial rule. Personally, I don't see a need for automatic or semi-automatic weapons. But, I'm not going to impose my views on someone else. There has to be a middle ground here for both the gun control advocates and anti-gun control advocates. Unfortunately, both sides are staunchly entrenched in their positions.